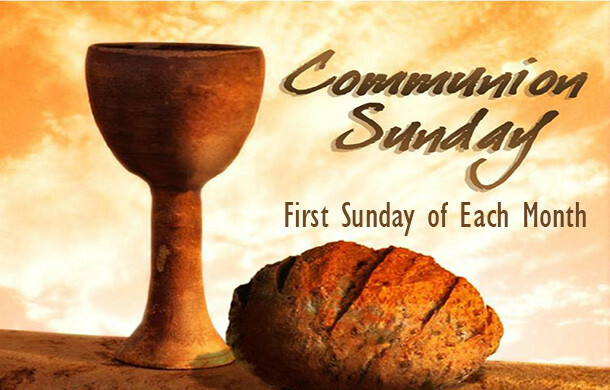 COMMUNION OFFERING: Today is Communion Sunday, and a special offering will be taken for Missions. Please place your donation in the plate as you come up to communion. CONNECTIONAL GROUP FELLOWSHIP: Today is the Connectional Group fellowship please sit with your Connectional Group. This is a good time to connect in smaller groups to share how we apply God’s word in our life, celebrate joys with one another, and pray about our concerns in our life and faith journey. LAITY RECOGNITION AWARD: UMC recognizes lay members for individuals that show their commitment of Christ’s outreaching love. The Laity Board of the Methodist Church will present Naomi Roberts with the Laity Recognition Award for her dedication to the Visitation Ministry – bringing communion and visits to the homebound – on Saturday, April 13, at the New Mission Resource Center, 205 Jumping Brook Road, Neptune. The worship service will begin at 2:30pm. LENTEN BIBLE STUDY: The last lesson of the “REHAP” is held after fellowship time. EASTER FLOWERS: If you would like to order flowers for Easter in memory of a loved one, please fill out form in bulletin. Deadline to order is April 14. EASTER SERMON SERIES: This Easter Season Pastor Lee will be having a special three-week sermon series starting on Easter Sunday on “What is Love?” We will hear how this LOVE has power today to transform every aspect of our loves. Please be sure to join us for this three week series beginning on Easter. Bring a friend or neighbor, and we’ll discover together that the resurrection still changes everything. REPLACEMENT OF WINDOWS AND UPGRADES TO CHURCH: The church, especially the Sanctuary, is and should be a sermon about God; one that reveals a Great God. Our church is old, and in need of repairs. Please pray about this, and help with the transformation of UMC for new windows and repairs. As God speaks to your heart, please fill out the pledge form and place your donation in the offering plate. This can be done by a donation, or in memory of a loved one. CHURCH COUNCIL MEETING: April 14 (Palm Sunday) after fellowship time.